you are determined never to give up, you will see the manifestation of what you are believing for. Standing Strong What do you do when you feel as if you’ve done everything you know to do? Paul answered that question when he said, “Having done all, to stand. Stand” (Eph. 6:13–14). Faith based solidly on God’s Word is what enables us to stand strong against the attacks of the enemy. Too often, people are ready to give up instead of recognizing that Satan is the one trying to keep what God has promised from them. 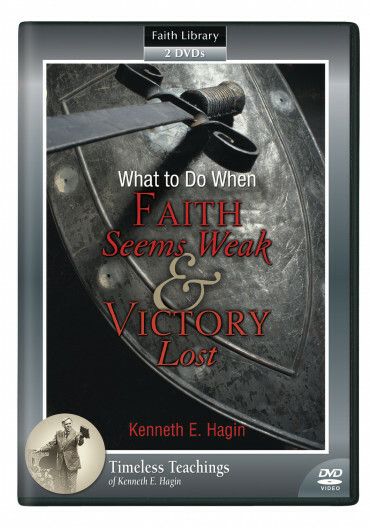 In this 2-DVD series, Kenneth E. Hagin encourages us never to give up on our faith. And he reminds us that what is left for us to do is lift our voices in praise, for God watches over His Word to perform it!